If you love those games who get excited with each level, then this one is surely on today's download list. 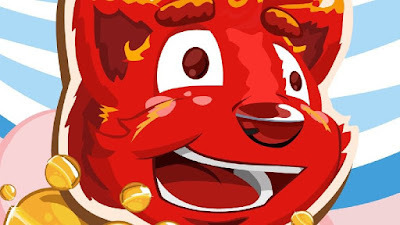 The just launched, Cand Peppy Pum game will surprise you with its colorful graphics and nice special effects. The main objective is to get rid of the candies by creating chain of three and more identical candies, animals and stones. Depending on the level you keep reaching, the game play gets more exciting and test your brains to form the chains. Get rid of those sweet candies and you'll earn stones which are required to make candies in the casseroles, which the fairy tale character will take it to make you reach a new level.